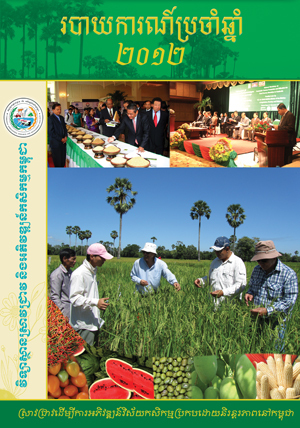 Cassava is an important upland crop in Cambodia. In recent years it has gained in popularity because of strong demands from a range of processors supplying both domestic and export markets. 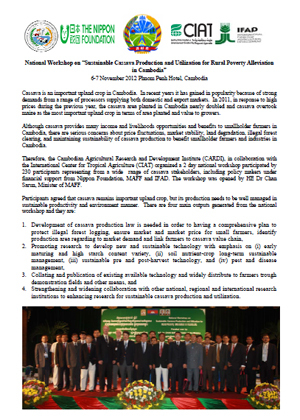 In 2011, in response to high prices during the previous year, the cassava area planted in Cambodia nearly doubled and cassava overtook maize as the most important upland crop in terms of area planted and value to growers.